Click here to see a picture montage made by High School League Director Eileen Basket: Fast Break Through the Years. Love seeing the campers when they were much younger but are still coming back for more! 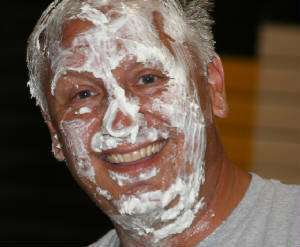 Coach Finke is looking like he got pied again!! A day when all the campers come together to play basketball. 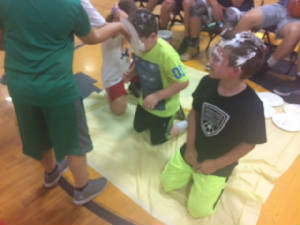 The losers get pied! Win or lose we have fun! We love this day mostly because you don't have to worry about winnng or losing, it is just for fun! 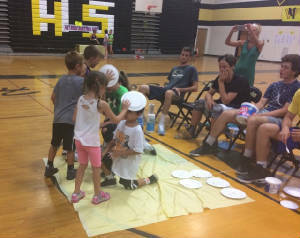 It lets the kids and coaches relax for an hour or so! 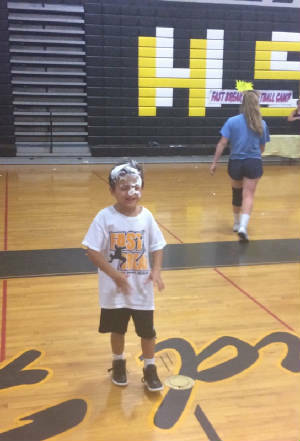 PIE day is so much fun! Lila looks great in PIE!! More High School fun on PIE day!! High School Division having some fun on PIE Day!